​Are you on the right career path? ​Getting yourself on the right career path is the key to feeling happy and fulfilled in our working lives. Here’s how to work out if you are heading in the right direction or if you have strayed from your chosen route. My two wonderful and talented nieces (OK, so I am a little biased – but only a little!) are at that stage in their education where they are expected to make decisions about their future careers and to choose courses and colleges accordingly. I remember it all too well. It felt like a huge decision and one which, once made, was irrevocable – so the pressure to get it right was overwhelming. Here is the thing I wish I had known then: deciding your future is not a one-time thing. With the benefit of many, many years’ experience, I have come to understand how careers evolve, sometimes in a linear direction and sometimes with a radical jump sideways or a plot twist worthy of the most random of storytellers. Over the course of a working lifetime, many things will change, partly as we grow and partly as the world around us changes, technology developing with it. So even those who have known from an early age what their vocation is will experience a career full of changes. Each day we show up at work we make decisions that shape our future; they may or may not be decisions we make consciously, but they do shape our careers. When you stop for a moment and reflect, you can probably see how choosing which pieces of work to focus on has shaped what you do today. 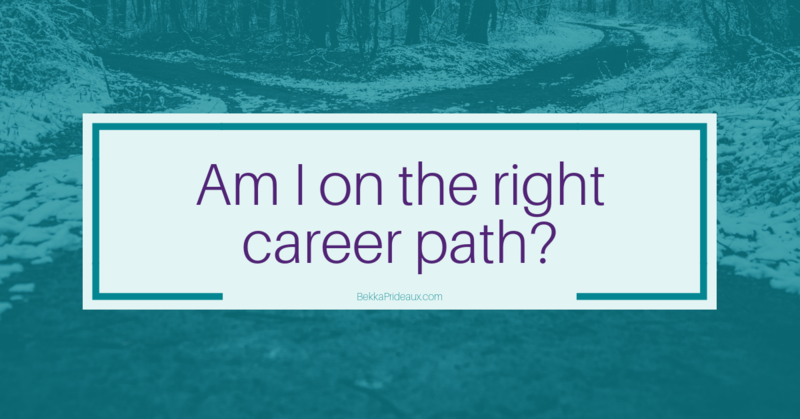 From time to time we all find ourselves wondering if we are on the right career path or where we want to be with our business. Is what we are doing now really what we want to be doing? Are we finding it fulfilling? Does it meet our needs and fit in with the rest of our lives? This wondering can be triggered by any number of things, from a bad day at the office to something more significant like a change in family circumstance, such as having children. Sometimes this wondering is triggered by circumstances beyond your control, such as being made redundant. It might be a really clear thought or a vague feeling that something is not quite right. No matter what caused you to start questioning if you are on the right career path, the good news is you can do something about it. You could choose to continue as things are, letting your career continue to evolve, or you could decide to be more proactive and make some changes. Only you will know what is right for you but, to make that decision, you need to know if you are heading in the right career direction. So how can you work out if you are on the right career path? Answering these three questions will help to you work it out. 1. How do you feel about the work you are doing? Do you love what you do? Do you enjoy learning more about it? Are you inspired by other people in your field? If you are not sure, take a moment to notice how you feel about it when you are talking to someone about what you do – are you passionate and animated or are you bored and uninspired? Remember it is not how other people react to what you do, it is how you feel about it that matters here. Pragmatically, there are going to be aspects of your work you don’t love as much as others but, on balance, do you feel good about the work you do? 2. Is your career aligned with your motivational needs? In their book, Focus: Use Different Ways of Seeing the World for Success and Influence, authors Tory Higgins and Heidi Grant Halvorson describe two types of motivational focus which impact how we approach our lives and careers. Promotion-focused professionals are driven by a desire for advancement; they think creatively, work quickly and seize opportunities. Prevention-focused professionals are driven by a need for security and maintaining the status quo; they are thoughtful analytical planners. We probably recognise some of each of those traits in ourselves, and probably know which is the more dominant for us. How aligned to your dominant focus is your career path, your job and your industry you work? 3. Is your career meeting your needs? How well does your career fit with the other elements of your life? Is your career path providing you with the lifestyle you would like? Are you able to be based in your chosen location? Does it allow you to do the things you want and spend time with the people you want to spend time with? Once you have answered these questions, you will be able to decide what, if any, changes you want to make in your career. Working with a career coach can help you get clarity about what you want to change, how to make those changes happen and get you the results you want in the most efficient and effective way. To benefit from the Your Next Career Chapter package, book a call to discuss your requirements?